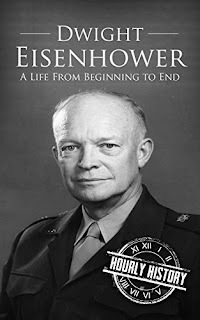 This is a short biography of the Supreme Commander of the Allied Forces during the Second World War and the subsequent US President, Dwight Eisenhower. 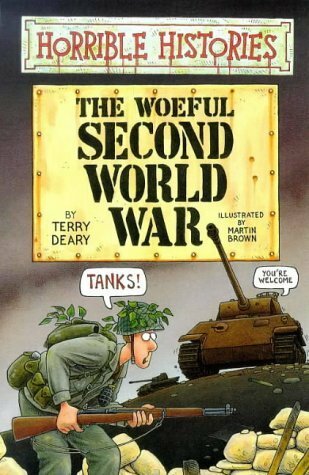 This book focuses on what made an average student, a pacifist by nature who joined West Point only for the sake of a free college education ended up as one of the most talked about military generals in modern history. It then shifts to his tenure as the President and his achievements, how he drew the ire of ultra conservative Republicans by pledging to end segregation and his policies towards Soviet Union. The book, maintained the balance; the first half was on his military career and the second half was on his political career. It talked about how he rose to power in the military during peace time; a fact I knew from a lot of Second World War novel I have read wherein the soldiers often make a remark saying 'Eisenhower has never faced a real combat and so, he gives us impractical commands'. 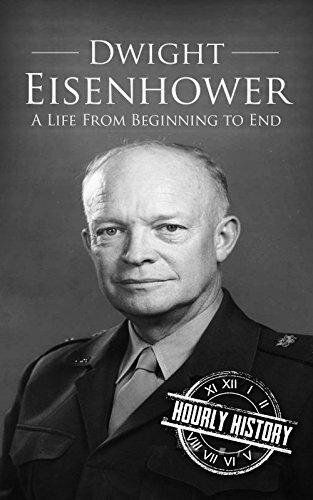 However, this book talked about the various strategic moves of Eisenhower which led to the eventual victory of the allies in the Second World War and then moves on to his political career; as to how he was able to mobilise votes for himself though not for his party and his relations with the Soviet Union and escalation of the Cold War (though, Eisenhower, personally, was still the pacifist). The only downfall of this book is probably the fact that the book wasn't exactly hourly and it was quite long, would have taken me around hundred minutes to cover the whole book but it is good that the book had an equal focus on both aspects; unlike their book on Ulysses S. Grant. This is a short biography on the 9th Century Frankish King, the First Holy Roman Emperor (the first Emperor in Europe since the fall of Rome) and the first person who had attempted to unify all Germanic people under one kingdom. 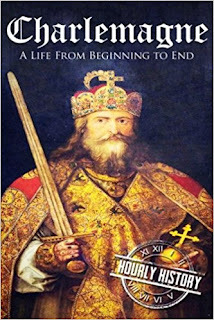 The book starts with his early life and how his family was committed to the spread of Christianity throughout Europe, especially in the central regions such as Saxony and Bavaria and there was also the mention of the famous Battle of Tours led by his grandfather Charles Martel in which he defeated the Saracens, leading to a stop in spread of Islam in Europe beyond the Iberian peninsula. It the talks about how Charlemagne systematically established alliances with the clergy, his focus on having a learned kingdom and also, how he helped spread Christianity, often by allowing his vanquished to retain power and convert or lose power and retain their religion. The book then talks about his various conquests, and his expansion to the extent of the Slavic Kingdoms. 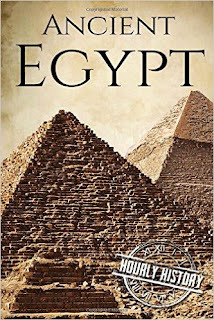 The book then talks about his personal life, his interests, habits and his eventual death and a word on his successors. To say it in a sentence, I would say that this was the dullest biography from Hourly History that I have read so far and in fact the first Hourly History book which has taken me more than an hour. The book, lacked a sequence, for instance, while mentioning about Charlemagne's family, the book already mentions what happened post his death and then, eventually gets back to what he did during his life. Moreover, I felt, the campaigns against Saracens in Iberia were given very little/ negligible focus in the book. I am fairly read on history post industrial revolution and with Charlemagne being a personality nearly eight centuries ago, I expected to return with considerable knowledge post the read but then, instead, I got very little. There was excessive focus on how he spread Christianity rather than how he built the society or controlled the army and led campaigns. To conclude, I would rate the book a four on ten. Note: This Review considers the sequel, The Day of Judgement as a part of the same book. 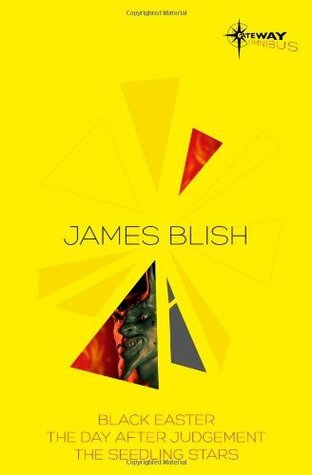 Black Easter is a novel written by the science fiction novelist James Blish, well known for writing the text adaptation of Star Wars. In Black Easter, he creates no new world; but just one additional element being, the method to summon and command demons as given in Grimoires actually work. The book starts with a weapons manufacturer - Dr. Baines, approaching a black magician Theron War; asking him to murder two well known personalities being the Governor of California and then, later on a physicist who is a threat to his own business. Finally being convinced of Ware's abilities, Baines' reveals his ultimate aim, that is, releasing all demons and seeing what happens. However, there are rules to performing black magic in this; that is, the practitioner of black magic has to inform the white magicians (who happen to be the clergy) who observe what the black magicians do, but they are not supposed to interfere. So, this book deals with the consequences of Baines' task; what leads to the eventual Day of Judgement. I felt the premise of the book was really brilliant, merging elements of Black Magic in the normal world. I also liked how the author gave detailed descriptions of the various demons summoned and how they behaved and how they reacted; certainly a lot of research has gone into it. Additionally, the book dealt with the interaction between good and evil quite well - with Theron Ware representing the evil side and Father Domenico from the clergy representing the good side (the observer for Ware's rituals) and yes, the book intends to touch upon the fact that in the real world, there is always interaction between good and evil and both go hand in hand. But then, the book had too much focus on the rituals that was performed to summon the demons and the concept of good and evil that the characters turned out quite flat; none of them had any decipherable personality; they were just mere names. Moreover, I felt that while the start to the book was brilliant, I felt Theron Ware carried out all his tasks too easily, only that his success in his last task created havoc and when the principal character is too powerful, that reduces the excitement from the novel. I would say that this book had an excellent premise which could have easily been built upon to craft a really good story but then, the story seemed to focus more on the author's research and philosophies than the story itself, beyond a point and that is where I felt this book fell short and at the end of the day; story is the most critical part in any work of fiction. Considering that, I would award the book a neutral rating of five on ten. 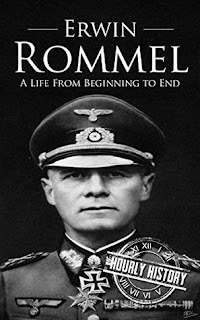 This is a short biography of Field Marshal Erwin Rommel who served under the Nazi German army during the Second World War; popularly known as the Desert Fox for his North African exploits. 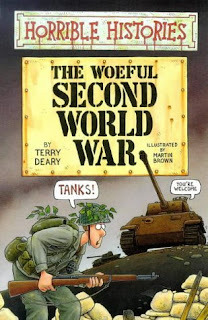 The book starts with his early life and how he went on to develop a liking towards the Nazi ideology primarily owing to his hatred towards the Treaty of Versailles, a feeling shared by many Germans. It then talks about Rommel's very quick rise in the army during peace time, his exploits in North Africa and then talks about the amount of faith Hitler had in him and then, eventually moves on to describe his shift in ideology and his failed assassination attempt on Adolf Hitler, leading to his eventual downfall. I felt the book was a well structured biography and I am glad that the Hourly History team chose to present a book on him considering we know a lot about Allied Generals, be it Alan Brooke or Douglas McArthur or Dwight Eisenhower but I am unsure whether in case of Axis Generals, we'd be able to go beyond Himmler or Emp. Hirohito. The book also brought out the reasons for his success in North Africa, the reasons for his eventual shift in ideology quite well. My favourite part was the conclusion, where the book presented all points of view surrounding Rommel as to whether he was merely Hitler's stooge or a genuine rebel who started the crumbling of the Third Reich or a mere opportunist who claimed to follow the right ideology at the right time. What I expect from a biography on a controversial figure is usually the ability to pass judgements as to which side of history whether I wish to put them and in this case, the book helped me do that. Considering that, I would award the book a rating of seven on ten.